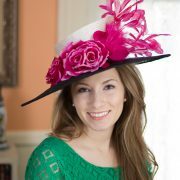 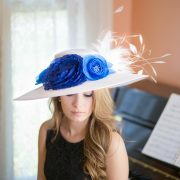 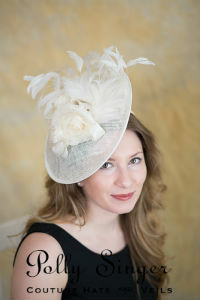 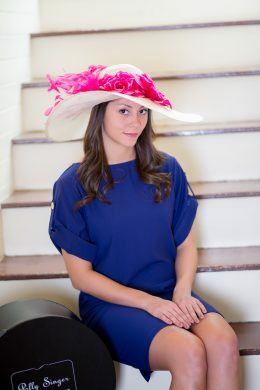 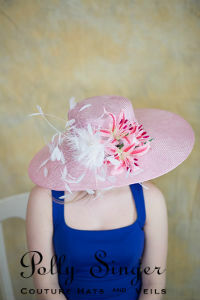 Perfect for Easter, the races or a wedding, Isabel is both stunning and will go with most everything in your closet. 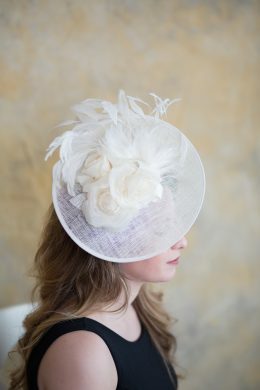 Scattered across Isabel’s shimmering and sweeping brim is an array of silk camellias, silk organza poppies, stripped coque feather mount and a scattering of leaves. 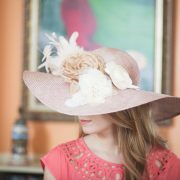 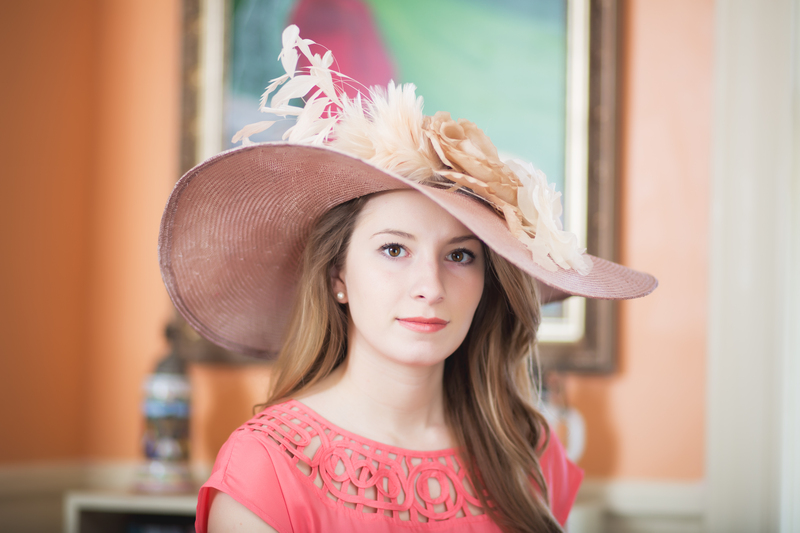 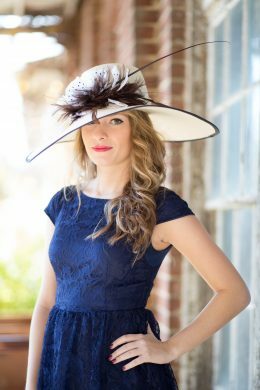 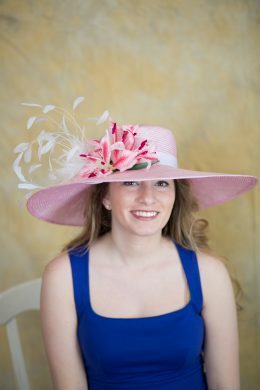 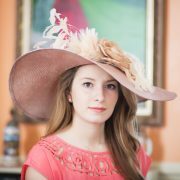 This unabashedly romantic Isabel hat is fashioned in a rich tawny parisisal straw. 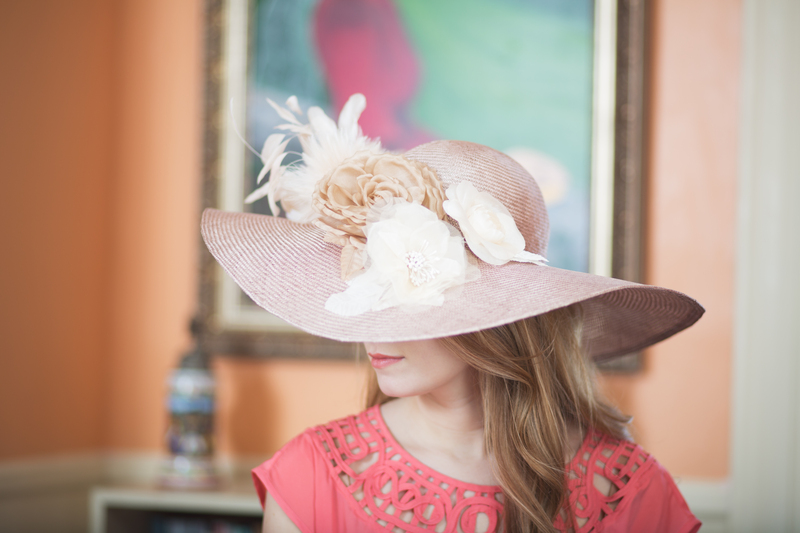 The trim colors are cream, blush and ecru.